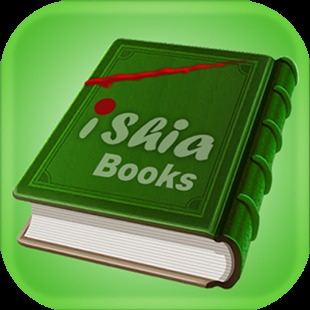 iShia Books Full Featured Book Reader.Specially designed to handle Arabic/Farsi books.Multilingual Interface, Arabic, English Farsi.Bookmarks, per book and global.Books information comprehensive search.Advance Full Text Search.Automatic Cross-Reference Navigation in footnotes.Book Download Manager.Content Indexing.Designed for iPhone, iPad, Android devices. iShia-Books has been designed and produced in the IT department of al-Milani Foundation for Revival of Shia’t Thought, and provides users with and easy and full-featured access to “Ahl-ul Bayt Library” books by Alulbayte (a.s.) Foundation books plus other books provided by al-Milani Foundation and other sources available on http://www.ShiaOnlineLibrary.com. There are no charges for viewing, downloading or getting updated content, user is notified if any of the downloaded content is updated and can opt to update the content on his/her device. Your comments and suggestions are welcomed and will definitely help us improve the application. Designed for iOS version 4+. (It’s not a PDF or EPUB reader). Multilingual Interface. Arabic and Farsi are available right now and English will be available in the next release. 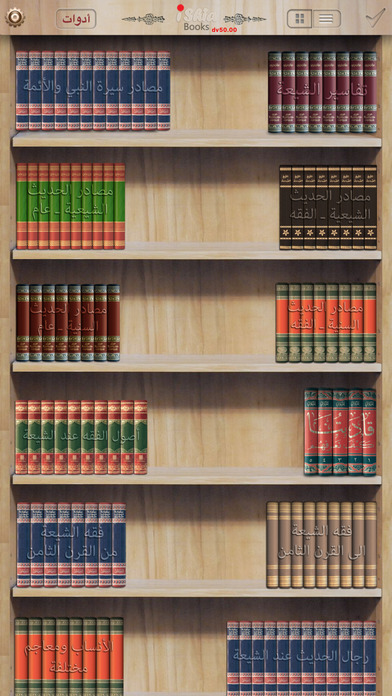 Book list by category, title, author, publisher or source, with the ability to filter the language of displayed book (Arabic/Farsi/English). Searches multiple fields in book list. 6- Book navigation through TOC. Shows indexes provided by “Qadatona Content Search Engine” inline, and quick transfer to http://ShiaWebSearch.com to show the search result for the selected keyword in other Shia sites. Navigate to cross references in footnotes. Online Full Text Search (on the server) which is very fast and no need to dowload books in order to search them. Changing the backgroud of book pages and text colour. English User Interface plus English books. User Defined book listings and storage. Multilingual Interface. Arabic and Farsi are available right now and English will be available in the future releases. Shows indexes provided by "Qadatona Content Search Engine" inline, and quick transfer to http://ShiaWebSearch.com to show the search result for the selected keyword in other Shia sites.